Can you recall times in your life when everything just flowed, you may have been dealing with a significant challenge in a seemingly effortless way. You were fully present and focused on what you were doing, you were purposeful and inspired whilst not being highly emotionally charged. Everyday worries disappear. You can’t let your mind wander – flow is a form of escape. 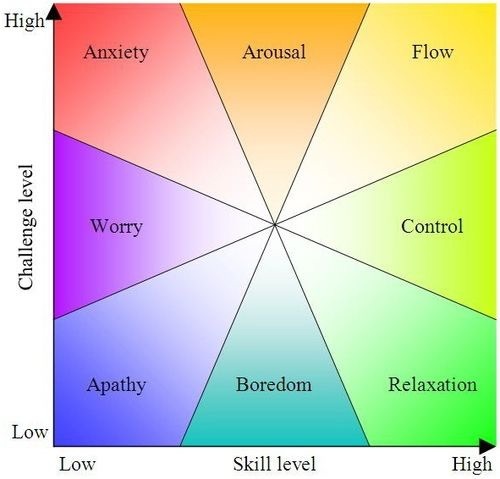 This illustration explains Csikszentmihalyi’s 8 activity state categories of which one is ‘flow’. The state of flow is achieved when the challenge of our activity matches the upper limits of our skill level. 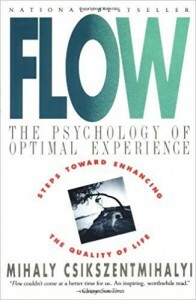 Mihaly Csikszentmihalyi refers to people who are regularly in flow as ‘autotelic people’ who appear to have inexhaustible psychic energy. Even though they don’t have more attentional capacity than anyone else because they are focused on what is most important to them they appear to have inexhaustible psychic energy. “Psychic energy” is: a ‘mental energy concept’ in some psychological theories or models of a postulated unconscious mental functioning on a level between biology and consciousness. Having studied Axiology (The study of values) for 11 years been personally taught by the world leading authority Dr John Demartini, I can see that Mihaly Csikszentmihalyi’s conclusions about highly autotelic people are same as people who are living with the highest degree of alignment to their highest values. This equates to doing activities that are aligned with your individual highest values. In my experience, most people have a sense of what their highest values, but are not clear about them and also are not following these values in their everyday life – hence they are not ‘in flow’. 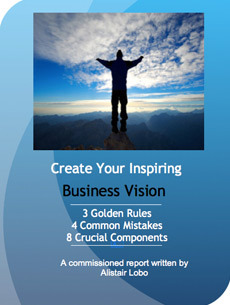 If you are interested in getting really clear about what your highest values are you can do so for free on D.r Demartini’s website www.DrDemartini.com where you can do his free ‘Values Snapshot’. Highly autotelic people are consistently ‘in flow’ (most of the time, but not all the time) because they are focused on what is most important to them (they have a great sense of purpose). An essential requirement of being in-flow is that you must spend some time ‘out of flow’, so being in a state of flow all the time is clearly not achievable.